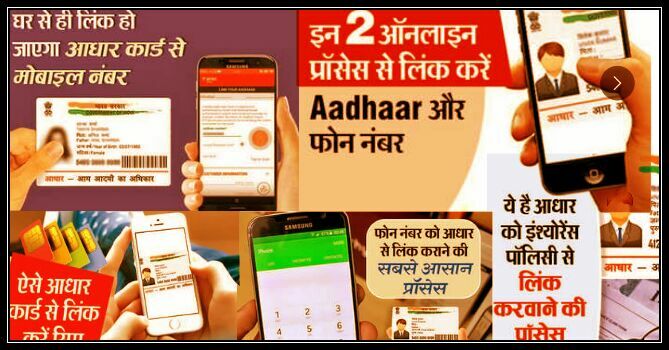 Sabhi Mobile Users Ko Apne Aadhar Card Se Mobile Number Ko 6 February 2018 Tak Link Karna Jaruri Kar Diya Hai. Telecom Companies Airtel, Vodafone, Reliance Jio, Idea 1 December Se One Time Password (OTP) Ke Jariye Aadhar Verification Ki Process Sharu Karne Jaa Rahi Hai, Is Process Ke Alava Ak Dusri Online Process Bhi Hai. Jiske Jariye Aap Apna Number Aadhar Card Se Link Karva Sakte Hai. Iske Liye Aapko Sirf Ak Call Karna Hoga Aur Aapka Number Aadhar Se Link Ho Jayega. Yah Process Telecom Service Provider Ki Voice Wesed IVR Helpline Se Hogi. IVR Ko Interactive Voice Response Kaha Jaata Hai. Ye Ak Automated Telephone System Hai Jo Caller Se Baat Karta Hai. Is System Me Telephone Equipment, Software Applications, Database And Supporting Software Aur Common IVR Application Hoti Hai. Har Telecom Company Ka IVR Number Hota Hai Jaise Airtel Ka 121 Jio Ka 199 Hai. IVR Se Number Ko Aadhar Se Kaise Link Kare. Sabse Lahle Phone User Ko Telecom Company Ke IVR Number Par Call Karna Hoga. User Ko Usi Mobile Number Se Call Karna Hoga Jo Vo Aadhar Se Link Karna Chahte Hai. Ab Nahi Jana Hoga Retail Store Me. Kisi Bhi User ko Ab Apne Mobile Number Se Aadhar Number Link Karvane ke Liye Telecom Retail Store Me Nahi Jana Hoga. Ab User Ko UIDAI Se OTP Milega. Iske Jariye Ghar Se Hi User Verification Ki Process Ko Puri Kar Sakte Hai. Lekin Aisa Vahi User Kar Payega Jinka Mobile Number Aadhar Me Registered Hai. Yadi Aapko Mobile Number Aadhaar Me Registered Nahi Hai To Aapko Aadhar Card Ke Center Me Jaana Hoga. Vaha Apna Mobile Number Aadhar Card Me Registered Karvana Hoga. Aadhar Number Se Mobile Number Link Karvana Ab Users Ke Liye Jaruri Ho Gaya Hai. March Me Department Of Telecommunication (DOT) Ne Is संबंध Me Order Jari Kiya Tha. Telecom Operator Ki Website Par Jakar Number Ko Aadhar Se Link. Aap Jis Telecom Operator Ki (Airtel, Vodafone, Jio) Sim Use Kar Rahe Hai Uski Website Par Jakar Jis Mobile Number Ko Aadhar Se Link Karna Chahte Hai Uuse Enter Kare. OTP Ke Jariye Kaise Hoga Verification. Insurance Policy Ko Aadhaar Se Link Kaise Kare. Yadi Aapke Paas Koi Insurance Policy Hai To Use Aadhaar Se Link Karna Jaruri Kar Diya Hai. Insurance Regulatory and Development Authority Of India (IRDAI) Policy Ko Aadhaar Se Link Karne Ko Compulsory Kar Diya Hai. Ab Yadi Kisi व्यक्ति Ko Koi Nayi Policy Lena Hai To Use Aadhaar Number Bhi Dena Hoga. Prevention of Money Laundering Second Amendment Rules 2017 Ke Tahat Ise Compulsory Kar Diya Hai. Pure India Me Abhi 24 Life Insurance Aur 33 General Insurance Companies Kaam Kar Rahi Hai. Kuchh Samay Pahle RBI Ne Aadhaar Ko Bank Account Se Link Karna Compulsory Kar Diya Tha. Isi Ke Baad IRDAI Ne Yah Kadam Uthaya Hai. Halaki. Supreme Court Yah Saf Kar Chuka Hai Ki Aadhaar Legal Document Nahi Hai. Aadhaar Mandatory Karne Ko Lekar Supreme Court Ka Final Decision Aana Ab Bhi Baki Hai. Aadhaar Card Ko Permanent Account Number (PAN), Bank Account Aur Mobile Number Se Link Karne Ke Liye Pahle Hi Compulsory Kiya Jaa Chuka Hai. Sabhi Insurance Policy Ko PAN Se Link Karvana Bhi Jaruri Hai. Yadi Aap Aisa Nahi Karte Hai To Aap Payment Ke Liye Claim Nahi Kar Sakege. Insurance Policy Ko Aadhaar Se Kaise Link Kare. Aapka Jis Bhi Insurance Company Me Registration Hai, Aap Vaha Customer Service Portal Me Login Karke Apni Aadhaar Detail Add Kar Sakte Hai. Yadi Aapka Online Registration Nahi Hai To Aap Insurance Company Ki Website Se Puri Process Ki Jaankari Le Sakte Hai Aur Process Complete Kar Sakte Hai. 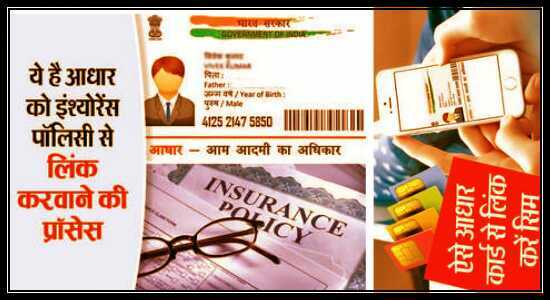 Isme Policy Holder Ko Policy Number, Date Of Birth, PAN, Email Id Aur Mobile Number Ke Sath Aadhaar Number Ki Zarurat Hogi. Ye Process Karne Ke Baad OTP Ke Jariye Verification Ho Jayega. OTP Fill Karte Hi Process Complete Ho Jayegi. Aap Insurance Company Ki Branch Me Jakar Bhi Yah Process Kar Sakte Hai. Very nice post, Keep it up.